A member of the police detective sent from force CID, Alagbon Close, Lagos to Hunt, Investigate and successfully prosecuted the notorious Anini gang that ravaged the then Bendel Sate. The same team investigated the fire incident that gutted the telecommunication house (NET Building) Lagos. In 1982 – 1983, he took part in the operations that quelled the Maiduguri / Bulunkutu Maitsine religious uprising. The member of the police team that investigated the election violence in Ondo State Gubernatorial election between Chief Michael Ajashin and Akin Omoboriowo in the early 1980’s. As the area commander, he managed the student crisis that rocked Delta State University, Abraka in 2003. The crisis ended without any casualty or judicial commission of inquiry into the crisis and many others. 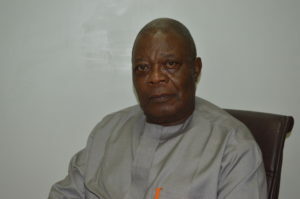 He was appointed Board Member, ICPC, on 4th February 2019 by President Muhammadu Buhari, GCFR.